Welcome all members and guests. If you aren't already a member here, please be sure to sign up on our forum. You will find the absolute best information on maintaining and modifying your ski here on the GreenHulk forum. The GreenHulk forum is a virtual encyclopedia of PWC information that you will find valuable. Also, shop in the GreenHulk Store and use the discount code: greenhulk and save 10% off of most RIVA and R&D parts, all WORX Racing Parts and all Solas impellers. 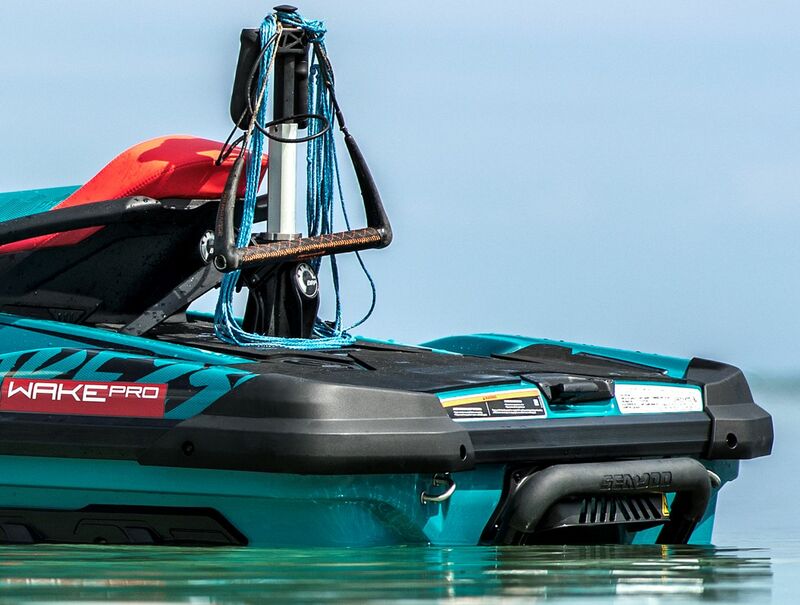 The big news for 2019 is Sea Doo's introduction of the FISHPRO model. I'm fortunate enough to be invited out to Florida to go fishing off of one of these wonderful new skis. Be on the lookout for a full review from me once I return on September 26. I can't wait to share my thoughts on it with you. There are more than 700 million anglers who participate in recreational fishing worldwide, and for years many of them have been outfitting their personal watercraft for fishing. Today, more and more fisherman and women are beginning to discover the benefits of fishing from a PWC and how they can unlock a wide range of fishing experiences from deep open oceans to shallow lakes. 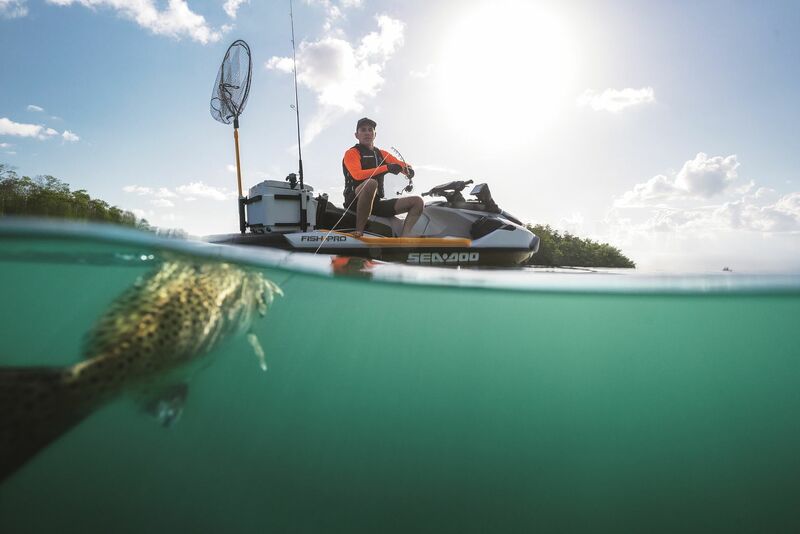 Now, Sea-Doo® continues to redefine what’s possible on a watercraft with the first and only production watercraft specifically built for fishing – the 2019 Sea-Doo FISH PRO™. An industry first, the FISH PRO is a combination of clever design and versatility. It’s built to open up the incredible world of fishing from a watercraft to the masses. 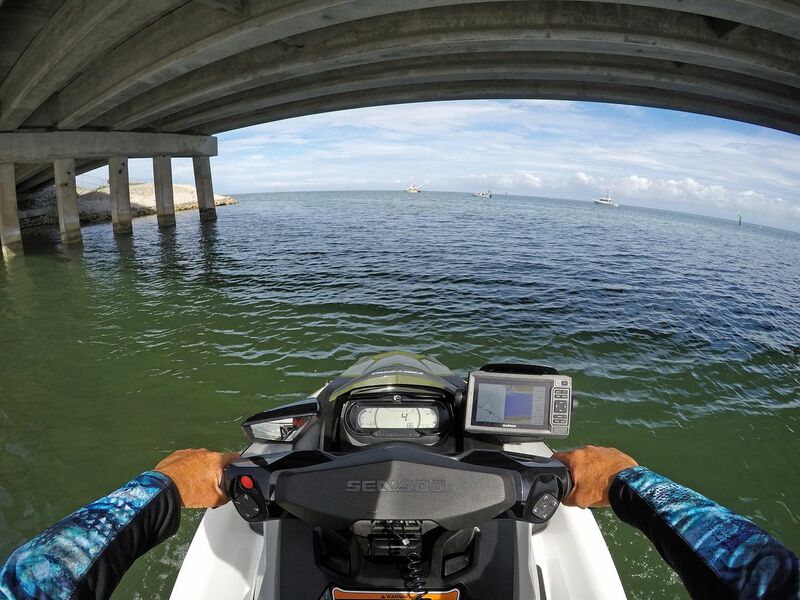 Why Choose the Sea-Doo FISH PRO? The Sea-Doo FISH PRO is based on the ST3™ Hull, which means excellent stability, performance, and enough comfort to keep lines in the water for hours. It is available in Green Night / White, can carry up to 3 riders. • A rugged 13.5 US gal. (51 L) cooler with recessed work surface, angled trolling slots, tackle and bait storage, a quick double-locking lid latch system specially designed to be closed with one hand, and four rod holders with configurable positioning. • Multifunction Garmin° ECHOMAPTM Plus 62cv Fish Finder with accurate marine navigation, bright and clear 6” display, CHIRP technology, and more. • Designed for ease of movement from the driver to passenger position for fishing or access to the cooler. Optimized for fishing facing sideways with increased lateral stability, yet comfortable and secure when fishing from any angle. • Side foot supports for increased comfort and stability when fishing facing sideways. • Slow Mode speed control to make trolling easy. 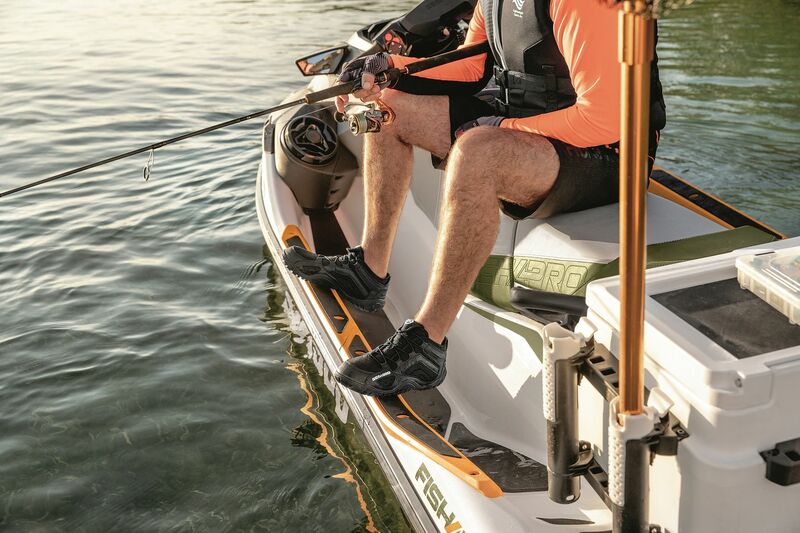 Riders can set the desired speed to one of nine pre-set positions for a range of trolling speeds up to 8 mph. 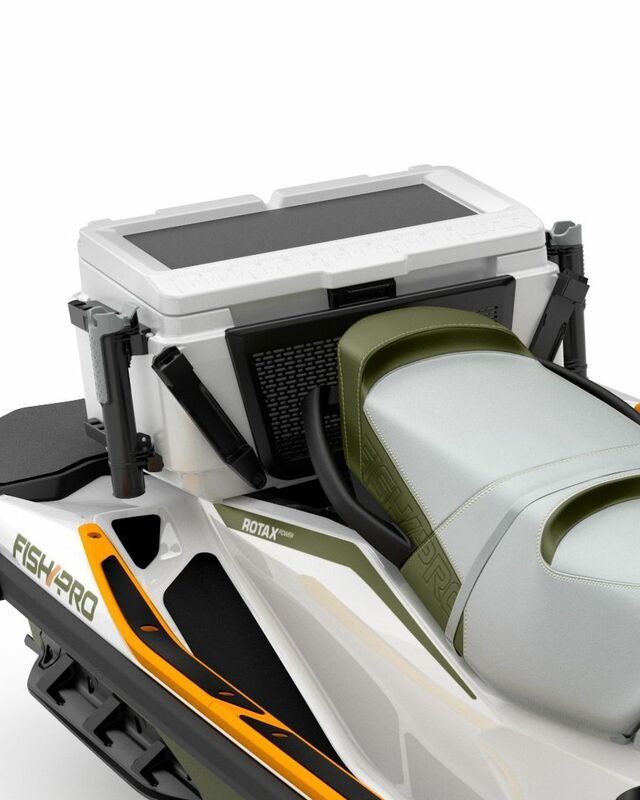 • Two sets of attachment points for attachment of the LinQ™ Fishing Cooler and additional LinQ accessories, such as a small cooler to bring your lunch and a fuel caddy for your extended trip on the water. • Allows for longer days on the water and less anxiety over fuel range when going the extra miles to reach a favorite fishing spot. • More space for cargo, easier boarding, and increased stability at rest when fishing or carrying a full load of fish. Adds an extra 11.5 inches of length and a second set of LinQ attachment points. 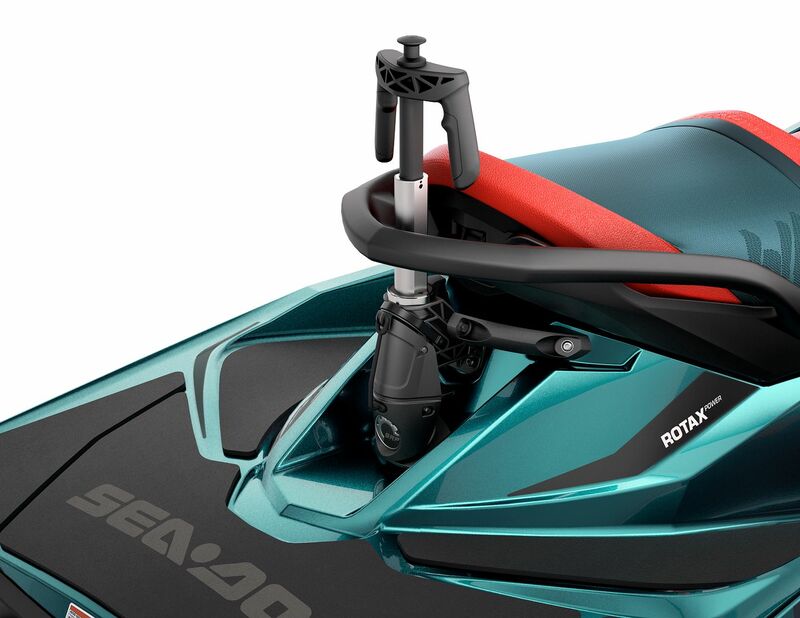 • The Sea-Doo FISH PRO has a spacious 27-gallon (102.5 L) central cargo compartment designed for easy and direct access to all gear from a seated position – simply raise the handlebar and reach in. It includes a convenient bin organizer, which is ideal to store items for quick access like water bottles, sunscreen, or a small tackle box. • An easy-to-access, watertight phone box with USB port (accessory) allows phones to stay charged and ready to go in a snug, impact-absorbing, watertight cradle. • Boarding from the water has never been easier thanks to a larger and flatter folding boarding ladder. • Recognized by the U.S. Coast Guard for improving boat safety since 2009 and now in its third generation, the Sea-Doo exclusive iBR™ (Intelligent Brake and Reverse) system allows riders to stop up to 160 feet (48 m) sooner than watercraft not using a brake*. Maneuverability when braking and handling when in reverse are optimized for maximum response. With both hands on the handlebars, riders can engage forward, neutral, and reverse for stable, worry-free maneuvering at low speeds. *Based on BRP internal testing in optimal conditions. • Industry-exclusive system that keeps corrosive salt water and debris out of the engine block for added peace-of-mind. • The Variable Trim System (VTS™) allows riders to easily find the ideal trim for any situation. • Anti-theft technology for the marine world. 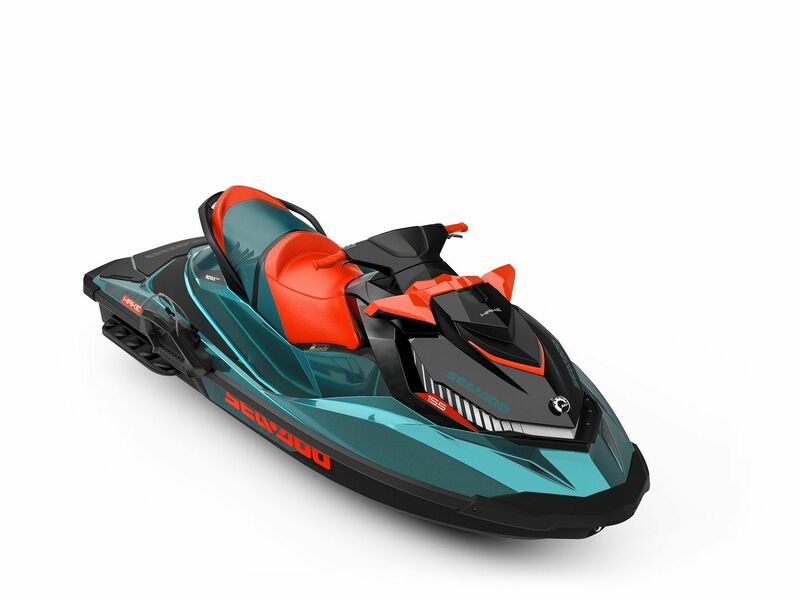 Each key features a radio frequency chip that communicates to the watercraft wirelessly, so the Sea-Doo FISH PRO will only start when the code matches the vehicle. • The ideal hull for rough water riding, and the industry leader for stability at rest thanks to a wider design, lower center of gravity and improved design. It allows fisherman and women to confidently move and fish all around the watercraft. 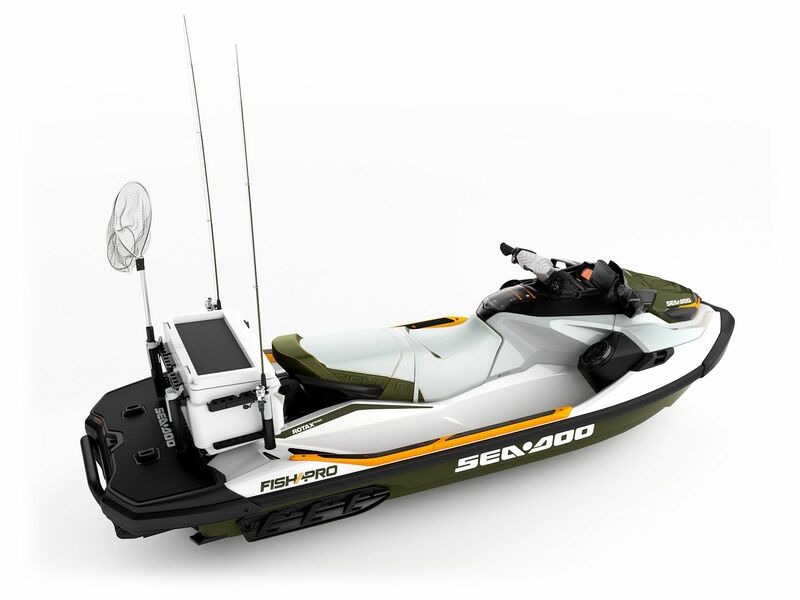 The FISH PRO features a Rotax® 1503 N.A. 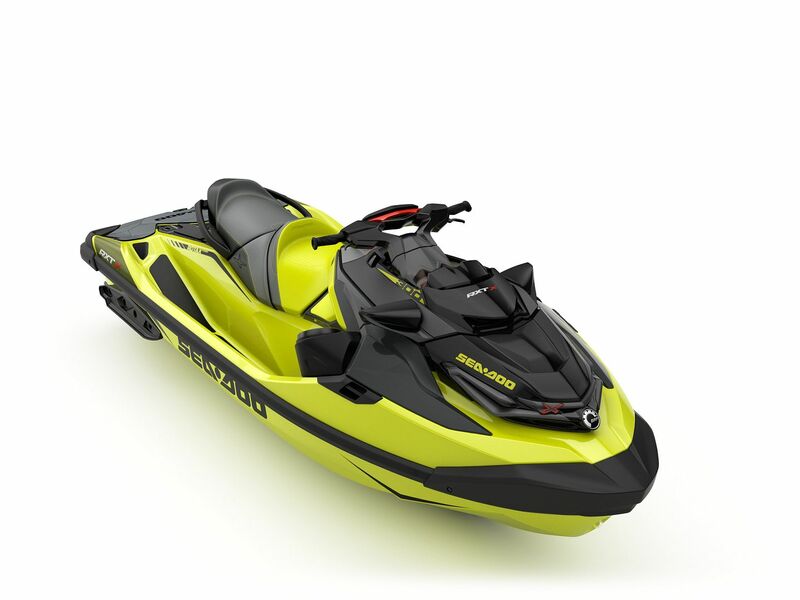 engine, which is the most powerful naturally-aspirated Rotax engine Sea-Doo offers. It provides instant acceleration for immediate fun. With unmatched performance, superior fuel efficiency and proven reliability, ROTAX engines continue to set the standard in the personal watercraft industry and are the perfect choice for sport fishermen. 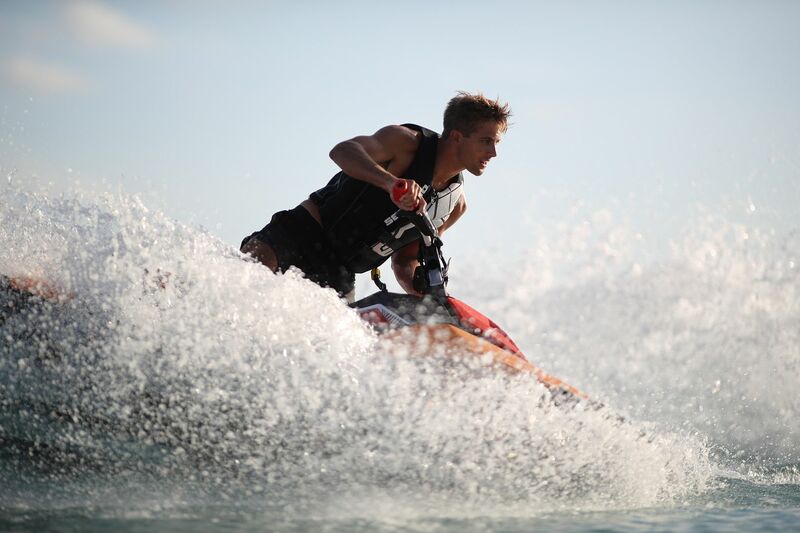 Sea-Doo® performance watercraft deliver a rush of adrenaline, the satisfaction of chasing the ideal line, and the knowledge that there’s little that can keep up. We continue to be the leader in high performance models thanks to the revolutionary new platform and technology introduced in 2018, which continues in 2019 with the ultimate range of high-performance models. 2019 Sea-Doo RXT models redefine how riders pursue the ultimate thrill. Whether it’s navigating an offshore route at breathtaking speed, relaxing with friends on a reconfigurable deck, or listening to tunes on the integrated Bluetooth stereo system, the RXT® delivers. 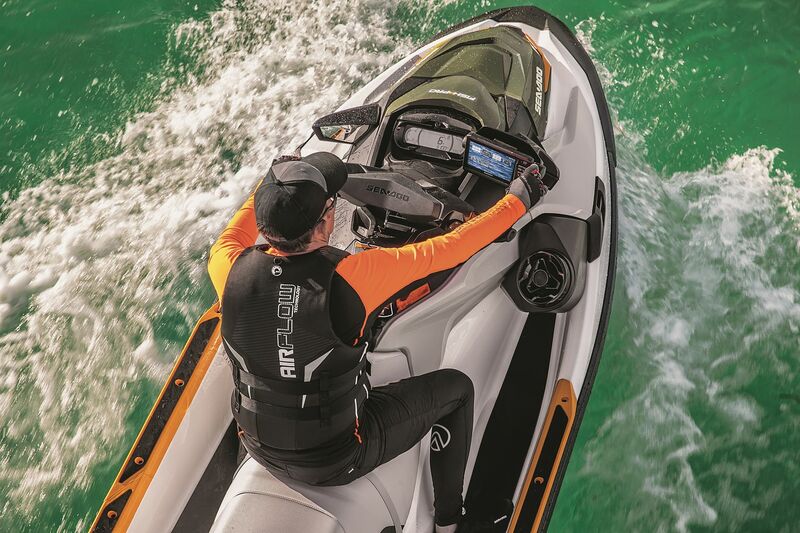 The 2019 RXP-X 300 is the ultimate racing watercraft. It goes from 0-60 (96 km/h) in 3.8 seconds, adding the thrill of extreme acceleration to every adventure. The formula is simple: sit down on the advanced Ergolock™ seat, hold onto the racing handlebar, hit the throttle, and smile. ^Performance numbers based on BRP internal testing in optimal conditions. 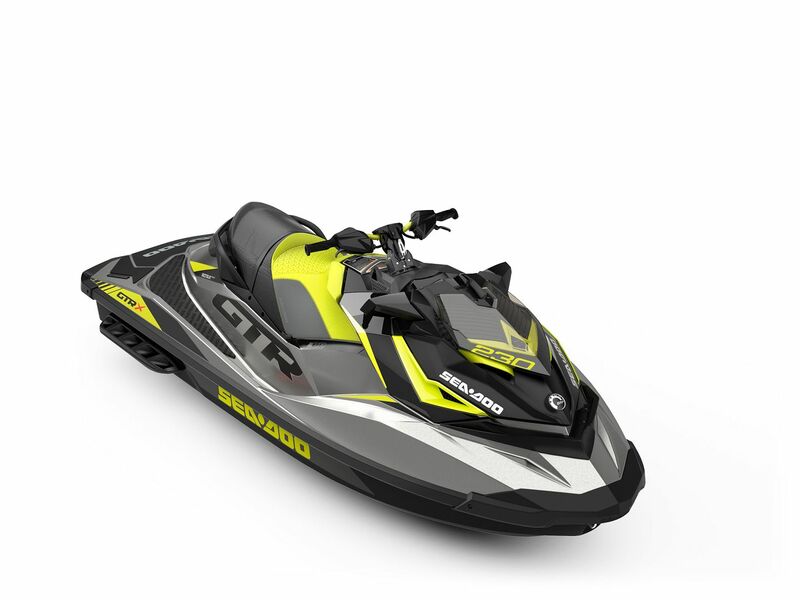 2019 Sea-Doo GTR models strike a balance between all-out capability and price. 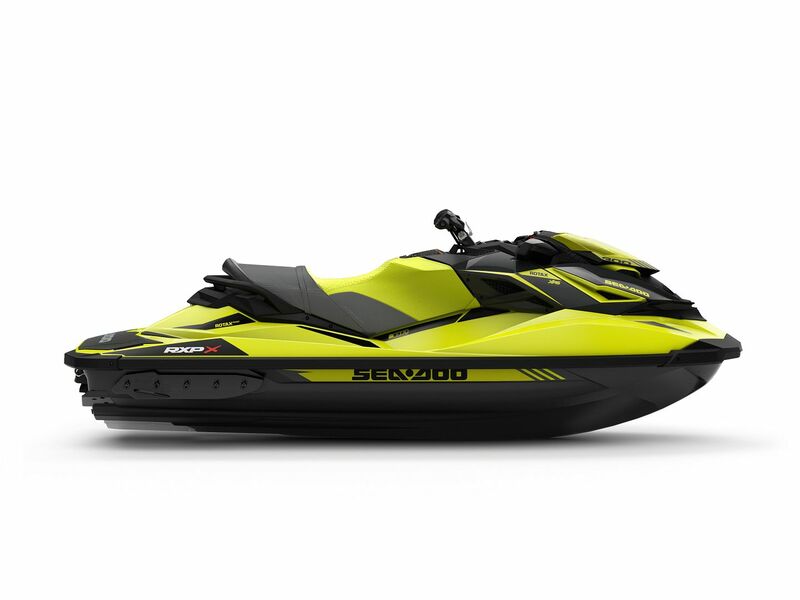 They bring power, performance, and high value, along with Sea-Doo ride-enhancing technology. The GTR™ is one of the easiest ways to get into the musclecraft scene with its powerful supercharged 230-hp Rotax engine. for improved visibility in all lighting conditions. The new display is also designed to give riders simple access to important information through the use of the keypads on the handlebar. The Sea-Doo performance line of watercraft includes the RXT 230, the RXT-X 300, the RXP-X 300, the GTR 230 and the GTR-X 230. Each comes packed with power and precision. 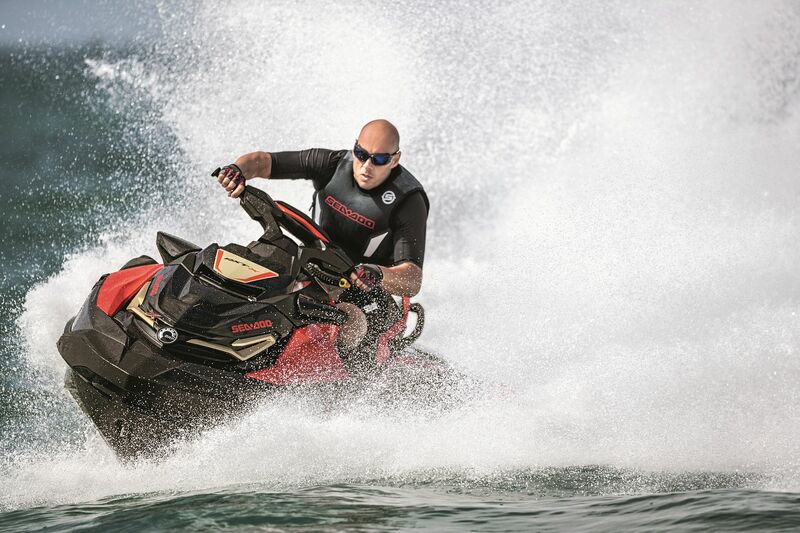 The Sea-Doo RXT 230 and RXT-X 300 maximize performance-based adventure. Both models are based on the innovative new platform launched in 2018 which provides a revolutionary on-board experience and industry-leading stability and control. The Sea-Doo RXT 230 is powered by a supercharged 230 horsepower Rotax® 1500 HO ACE engine, while the RXT-X 300 has a powerful 300hp supercharged Rotax 1630 ACE engine. Each model can carry up to three riders, and the RXT-X 300 goes 0-60 mph in 3.6 seconds*. RXT-X 300: Neon Yellow/Lava Grey + a striking new exclusive Eclipse Black/Lava Red combination available for an additional $300 USD. Industry-leading stability and control starts with a lower center of gravity, which gives confidence in rough water, at high speeds, at rest, and with three passengers. The platform is also wider for worry-free boarding and movement around the watercraft. Combine those with a deep-V ST3™ hull that increases performance in rough water and provides better control while cornering, and riders have the best of all worlds in any condition. A powerful, 100-watt audio system is a cornerstone of the onboard experience. With a simple swipe of a finger, riders can enjoy a truly waterproof, Bluetooth audio system. The perfect song is always on deck and ready to amplify the next adventure. 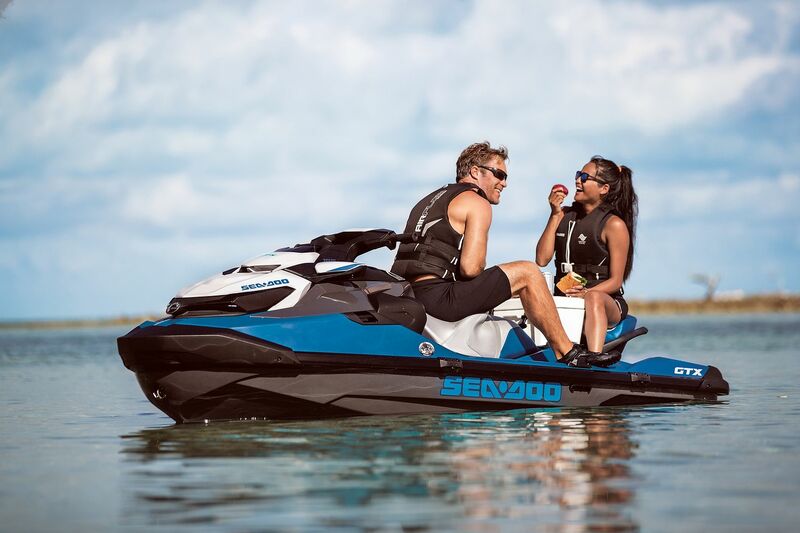 Sea-Doo GTX models have a spacious 27-gallon (102.5 L) central cargo compartment designed for easy and direct access to all gear from a seated position – simply raise the handlebar and reach in. There is also a waterproof, shockproof compartment for worry free phone storage with an addable accessory USB charger^, as well as an adaptable and convenient LinQ™ quick-attach rear cargo system to easily secure one of six exclusive accessories. ^USB charger standard on GTX LTD models, otherwise available as an accessory. • LinQ Fuel Caddy: Holds up to 4 US gallons (15L) of fuel in an easy-to-pour canister. • LinQ Bag: Semi-rigid, expandable, 5.5 US gallons (21L) storage that can be stack on top of the LinQ fuel caddy. • LinQ 13.5 US gallons (51 L) Cooler: Weather-resistant, High volume cooler with exceptional durability and premium quality foam insulation for optimal ice retention. When combined with the new Quick attach rod holders the large cooler is the perfect solution for fishing. • LinQ 4.2 US Gallons (16 L) Cooler: Rigid, durable and weather-resistant cooler that keeps contents fresh and cold. It also acts as a table between reconfigured seats for on-water picnics. • LinQ Toolbox: 5 US gallons (19 L) toolbox with weather-resistant, sealed and lockable cover. • LinQ Removable Ski Pylon: High-rise retractable pylon with built-in grab handles for the spotter can be easily installed in seconds. • LinQ Sport Bag: Rigid bottom, semi-rigid top, 4.2 US gallons (16 L) storage that can be stack on top of the LinQ Fuel Caddy. When it’s time to relax, a reconfigurable rear seat transforms the ride into a living room on the water, which significantly enhances the watercraft lifestyle. Riders can quickly change from a 3-seat configuration to a flat lounge area when stopped to enjoy the surroundings. Two riders can face each other for a picnic lunch, or when removed, the larger, flatter rear deck makes boarding and prep for tow sports easier and more stable. 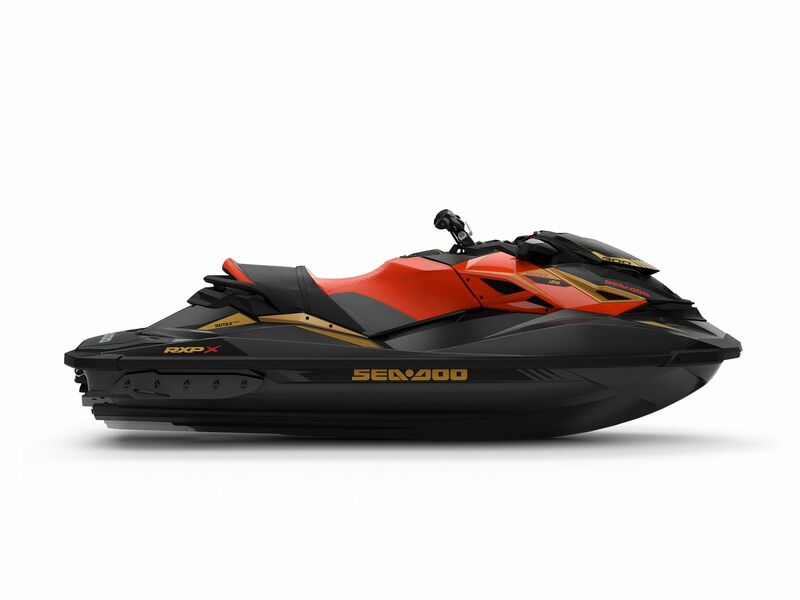 The Sea-Doo RXP-X 300 epitomizes performance on the water. It tames competitors with a 3.8-second 0-60 mph (96 km/h) time, and a sharp, deep V T3 Hull™ that provides superior control and precision. 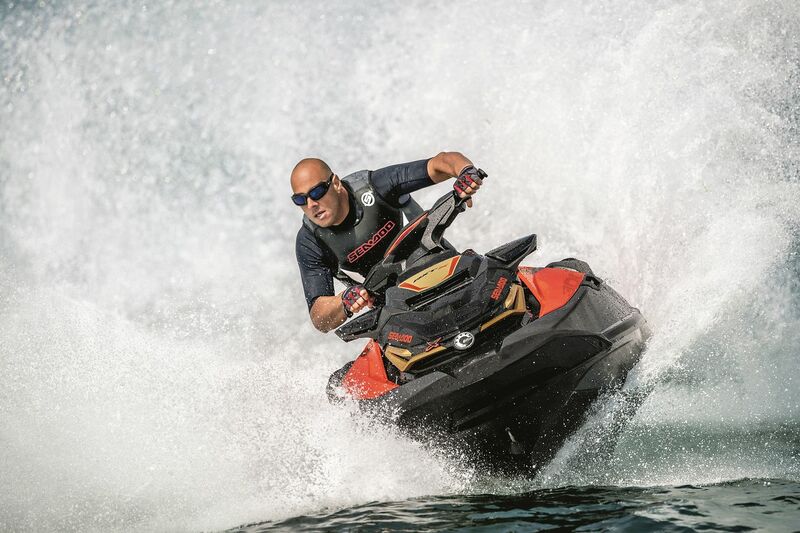 Out of the hole, through tight slaloms, or at top speed, the RXP-X 300 is the most extreme expression of Sea-Doo performance. Everything is optimized for peak capability and velocity, including Launch Control (standard), which is tuned to deliver optimal acceleration every time. It also features Ergolock seating, which provides confidence-inspiring control and reduced fatigue by allowing the use of the legs to feel at one with the machine during hard cornering. This championship-winning machine is designed for one- or two-up riding, and is available in Neon Yellow/Lava Grey, as well as a striking new exclusive Eclipse Black/Lava Red combination available for an additional $300 USD. 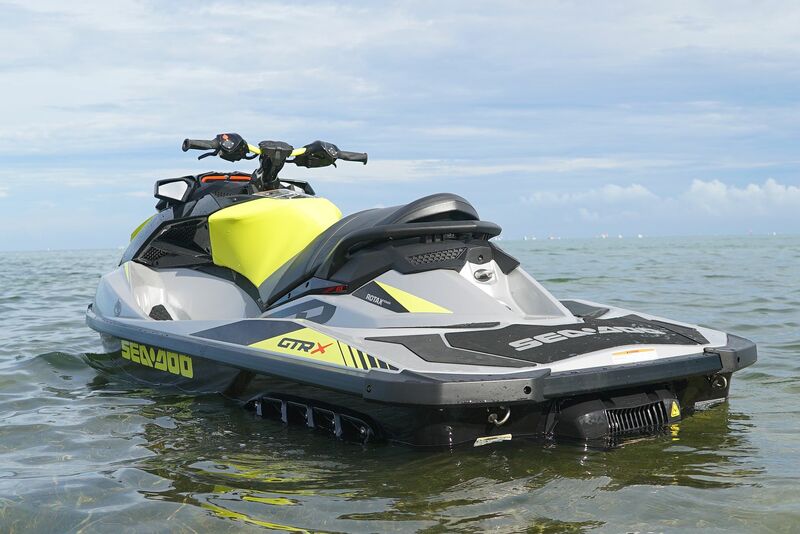 The Sea-Doo GTR 230 and GTR-X 230 models provide an excellent balance between all-out capability and price. They are built to maximize the experience on the water for riders who crave adrenalin-fueled adventures, including a slightly smaller GTI Hull that offers a nimble, predictable ride. The GTR 230 can carry up to three passengers and is available in Gulfstream Blue/Black. 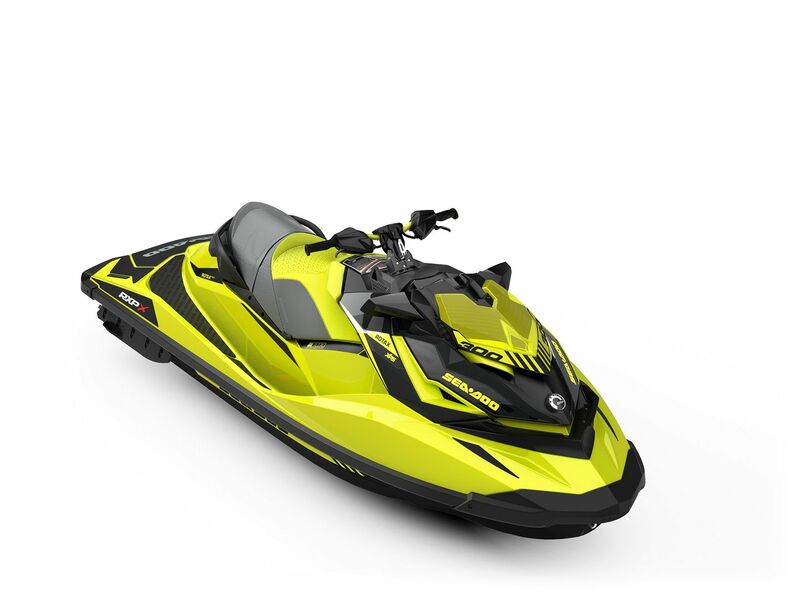 The GTR-X 230 carries up to two riders and is available in Liquid Metal/Neon Yellow. Rip, shred and catch some serious air on Sea-Doo® WAKE™ models. Thanks to exclusive tow-focused features like Ski Mode, a Ski Pylon and Board Rack, all riders have to do is grab a board and hit the water. 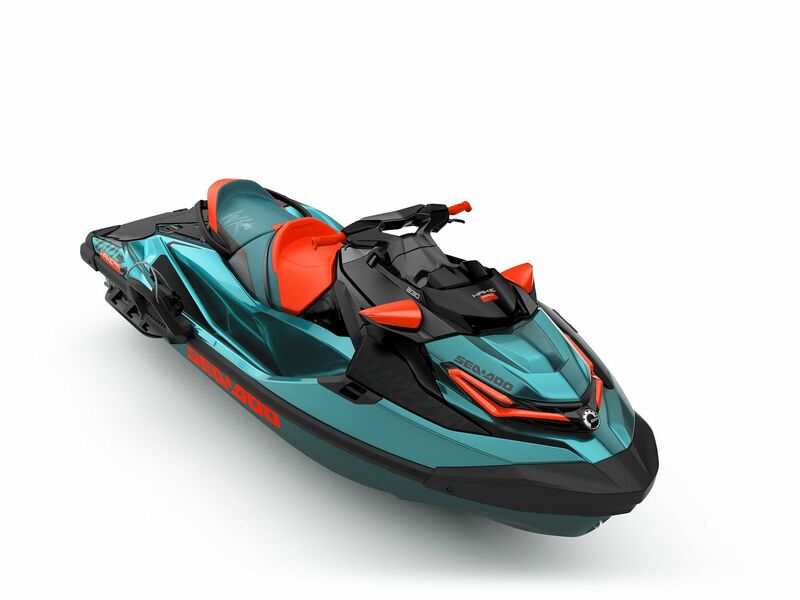 The Sea-Doo WAKE PRO 230 is loaded with exclusive features designed to maximize the thrill and heart-racing excitement of tow sports. 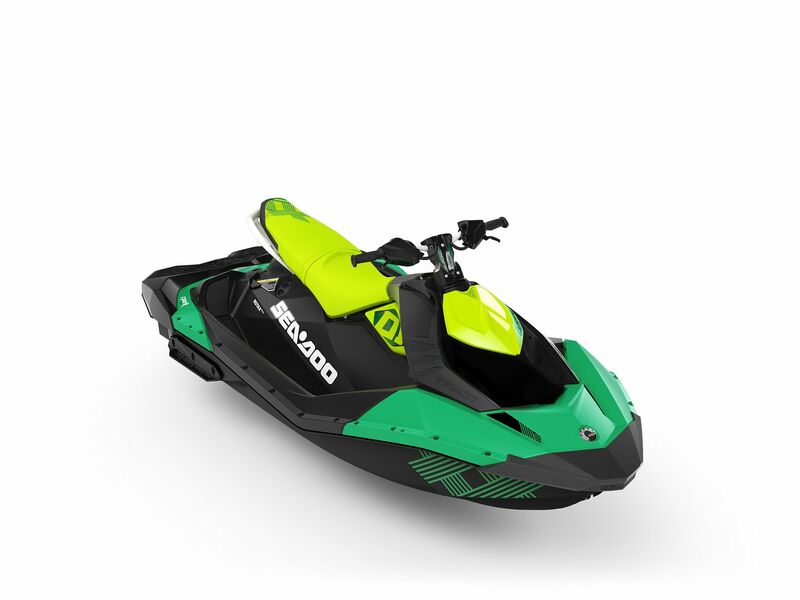 Its revolutionary platform gives the most stable ride in the industry, along with extra space for prepping, easy boarding and an optional bumpin’ 100W Bluetooth Audio System. The Sea-Doo WAKE 155 is quick, nimble, affordable and born to tow. When somebody has the watersports bug, the playful WAKE™ 155 and its award-winning forgiving and nimble hull is the perfect entry into the tow sports segment. 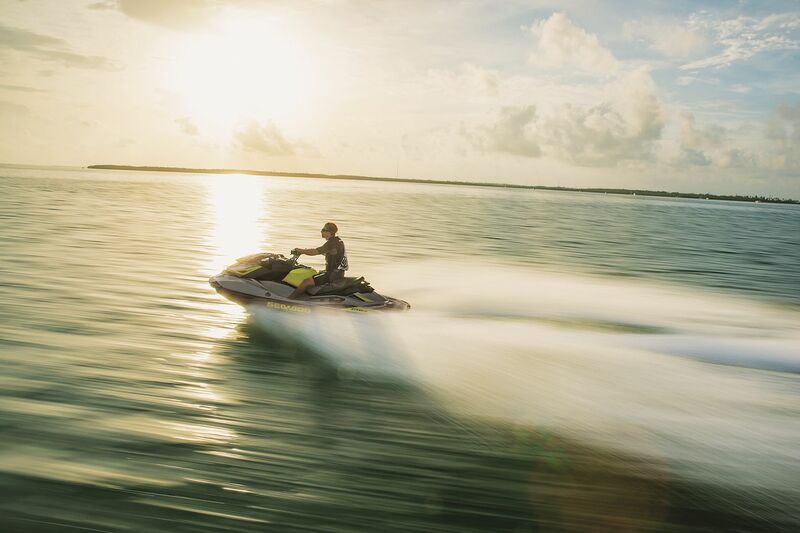 Both Sea-Doo WAKE models are built to enhance the on-water experience and so riders can maximize their active lifestyle. The WAKE PRO 230 introduces a NEW 7.6-inch wide digital display featuring easy-to-read fully digital characters/symbols enhanced by an orange/red backlight for improved visibility in all lighting conditions. The new display is also designed to give riders simple access to important information using the keypads located on the handlebar. 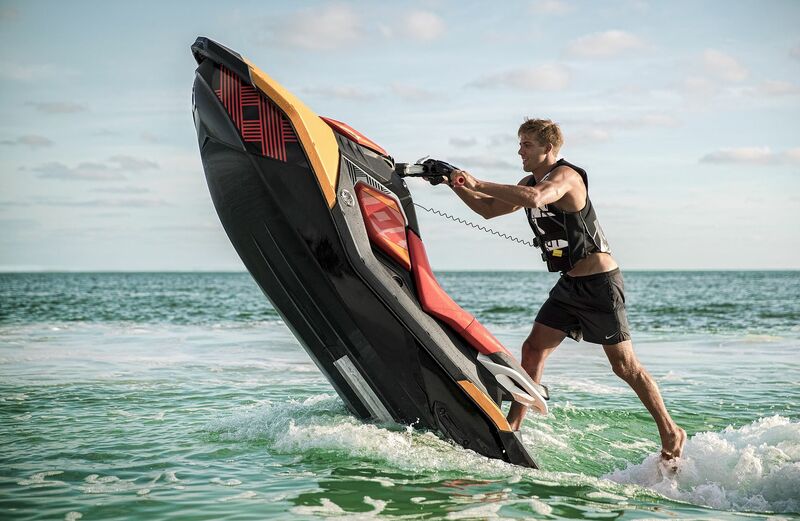 The Sea-Doo WAKE PRO 230 is the ultimate tow sports machine, destined to be the watercraft of choice for those who demand peak tow performance on the water. 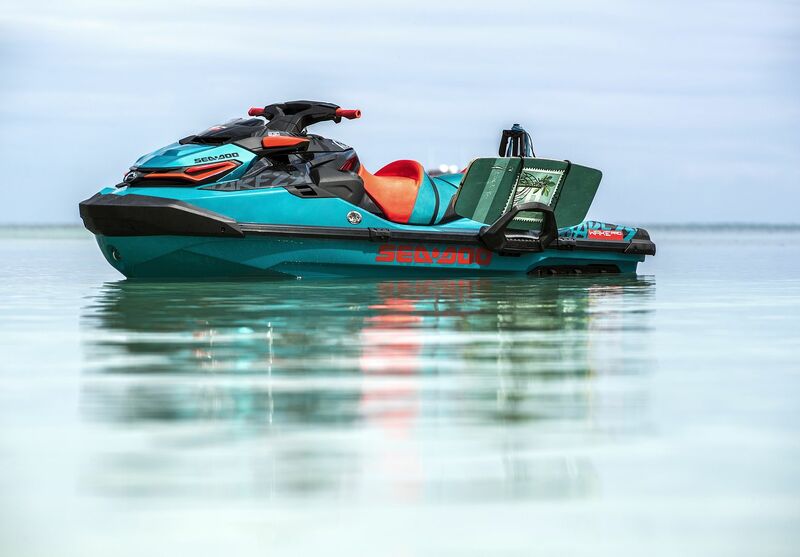 Based on the innovative new platform launched in 2018 it provides a revolutionary on-board experience and industry-leading stability and control, and now comes equipped with Sea-Doo’s all-new 7.6 inch wide digital display for 2019. The Sea-Doo WAKE PRO 230 is powered by a supercharged 230 horsepower Rotax® 1500 HO ACE engine. It can carry up to three riders and reach a top speed of 65mph (105 KM/H). It is available in Teal Blue Metallic/Lava Red. The new platform’s industry-leading stability and control starts with a lower center of gravity, which provides more confidence in rough water, at high speeds, and with three passengers. 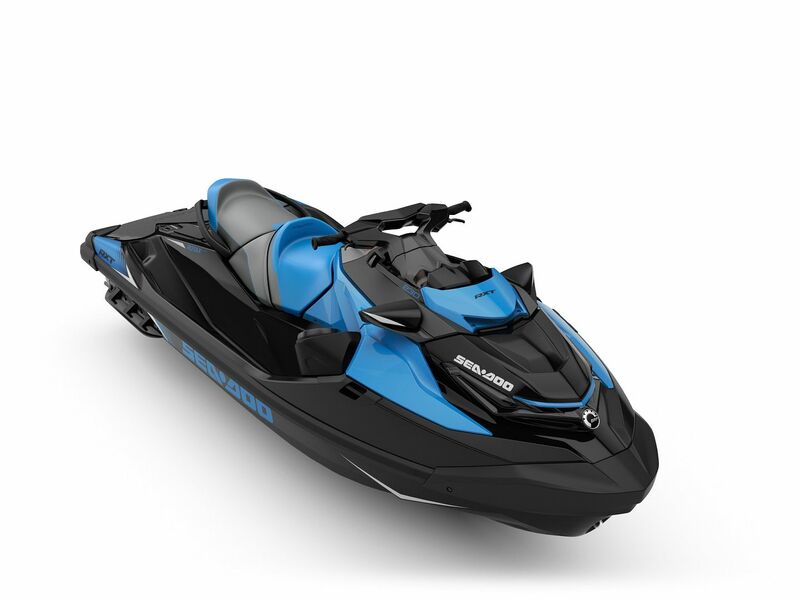 The platform is also wider for worry-free boarding and movement around the watercraft, and there’s up to a 90-pound weight reduction from previous model years. Combine that with a new, deep-V ST3™ hull that increases performance in rough water and provides better control while cornering, and riders have the best of all worlds in any conditions. A powerful audio system is a cornerstone of the on-board experience. 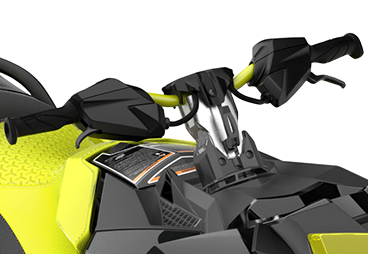 It is the world's first Bluetooth, fully-integrated waterproof watercraft audio system. 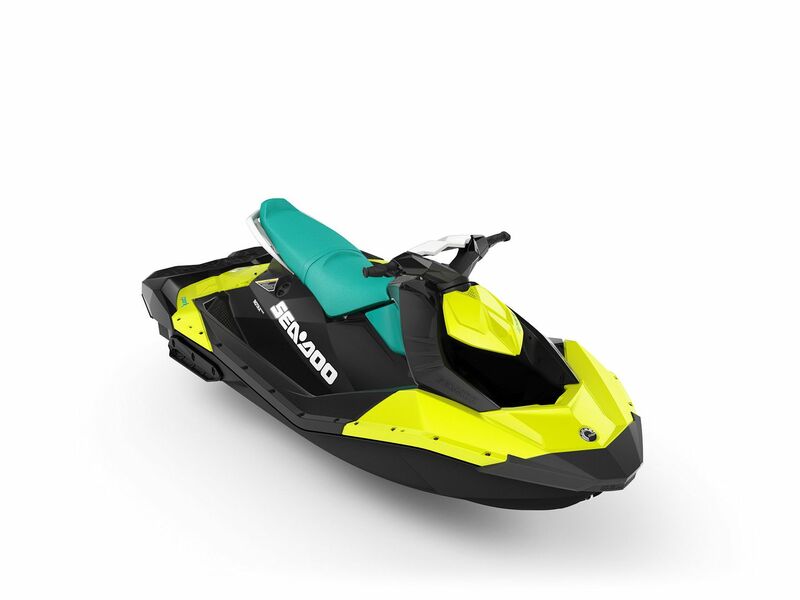 It features 100 watts of total power, is built to withstand the harsh environments encountered when riding a watercraft, has Bluetooth connectivity, and its external playback controls ensure the perfect song is always on deck. 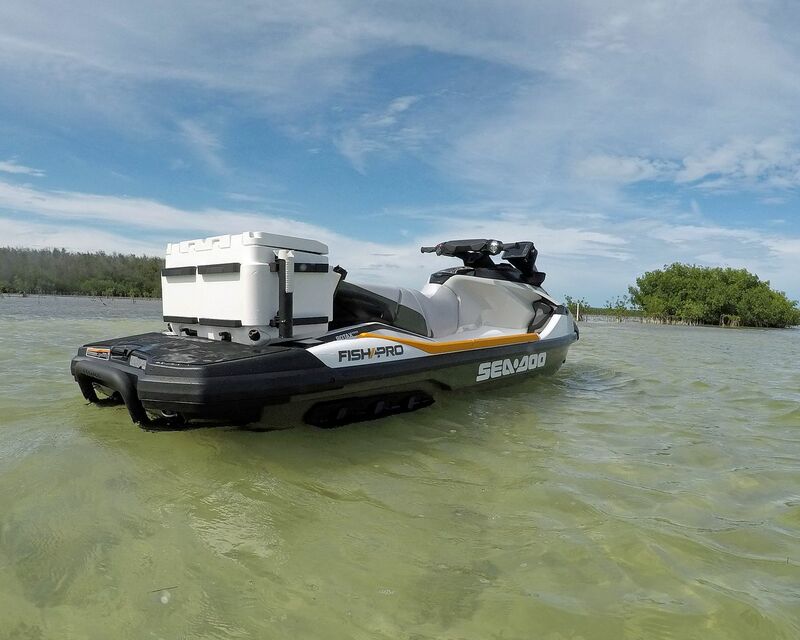 The Sea-Doo WAKE PRO 230 has a spacious 27-gallon (102.5 L) central cargo compartment designed for easy and direct access to all gear from a seated position – simply raise the handlebar and reach in. There is also a waterproof, shockproof compartment for worry free phone storage with an addable accessory USB charger^, as well as an adaptable and convenient LinQ™ quick-attach rear cargo system to easily secure one of six exclusive accessories. The Sea-Doo WAKE 155 is packed with features unique to the tow sports family, and is a perfect entry-level choice for people wanting to stay active on the water. It is powered by the Rotax® 1503 NA engine, and reaches a top speed of 55mph (88 KM/H). It can carry up to three riders and is available in Teal Blue Metallic/Lava Red. Recognized by the U.S. Coast Guard for improving boat safety since 2009 and now in its third generation on the WAKE PRO 230, the Sea-Doo exclusive iBR (Intelligent Brake and Reverse) system allows riders to stop up to 160 feet (48 m) sooner than watercraft not using a brake*. Maneuverability when braking and handling when in reverse are optimized for maximum response. With both hands on the handlebars, riders can engage forward, neutral, and reverse for stable, worry-free maneuvering at low speeds. • SKI MODE: Tow the perfect line, every time. 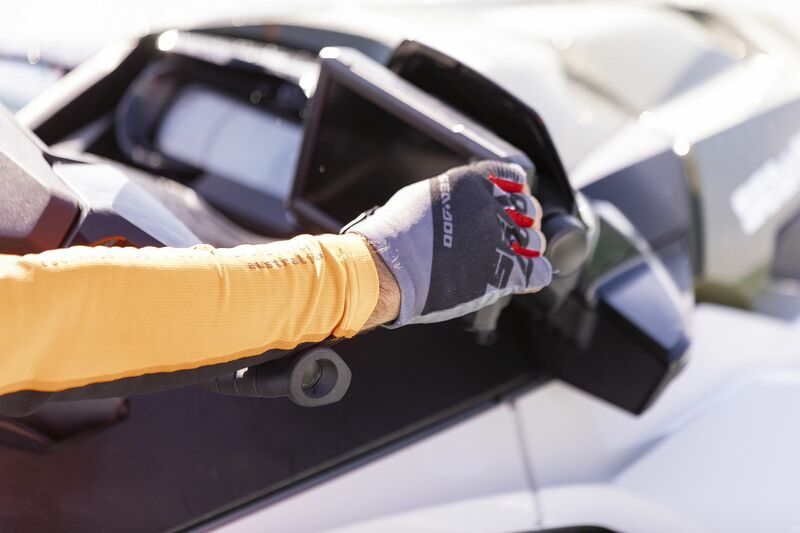 With multiple acceleration profiles, it’s easy for drivers to deliver a smooth launch and maintain a consistent pace so boarders can focus on riding like a pro. 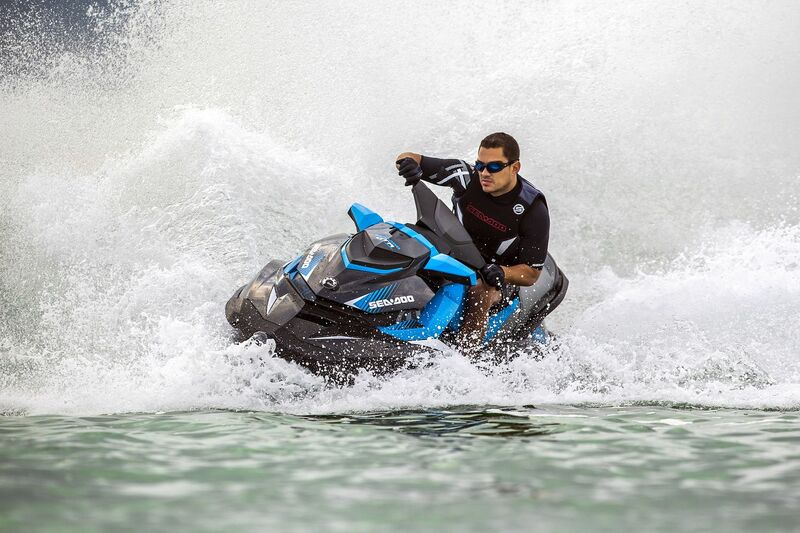 The Sea-Doo® GTX† Series continues to set the standard for watercraft luxury. It’s the watercraft of choice for adventure-seekers wanting to explore secluded destinations in comfort and style. In 2019, there are two packages and three engine choices, each built into incredible new platform launched last year that provides a revolutionary on-board experience and industry-leading stability and control. All GTX models now features a NEW 7.6-inch wide digital display featuring easy-to-read fully digital characters/symbols enhanced by an orange/red backlight for improved visibility in all lighting conditions. 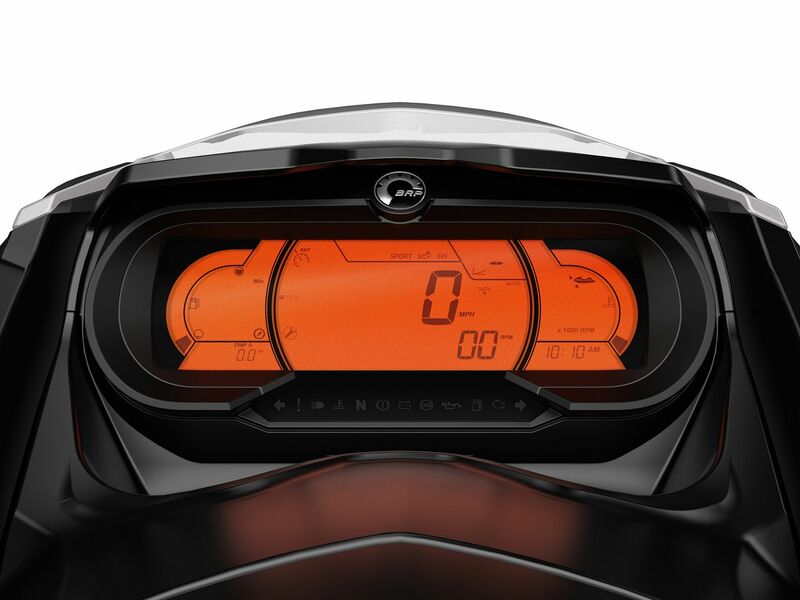 The new display is also designed to give riders simple access to important information using the keypads located on the handlebar. 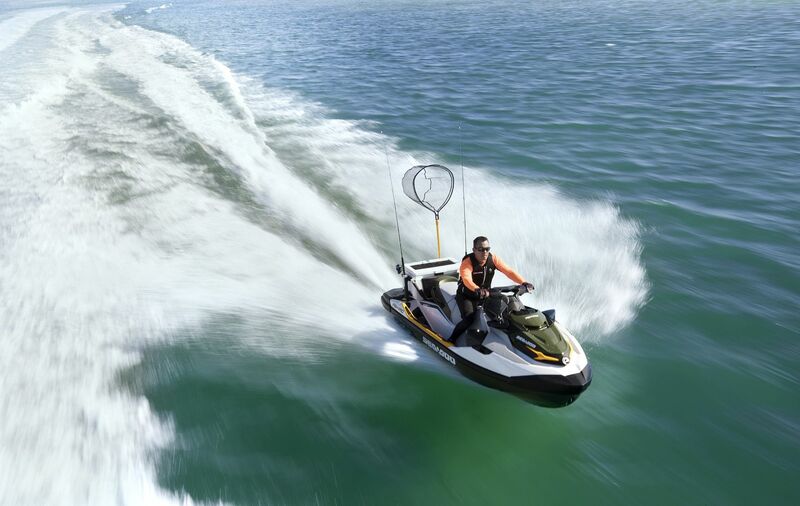 Industry-leading stability and control starts with a lower center of gravity, which provides confidence in rough water, at high speeds, and with three passengers. The platform is also wider for worry-free re-boarding and movement around the watercraft. Combine those with a deep-V ST3™ hull that increases performance in rough water and provides better control while cornering, and riders have the best of all worlds in any condition. A powerful, 100-watt audio system is a cornerstone of the on-board experience. With a simple swipe of a finger, riders can enjoy a truly waterproof, Bluetooth audio system. The perfect song is always on deck and ready to amplify the next adventure. 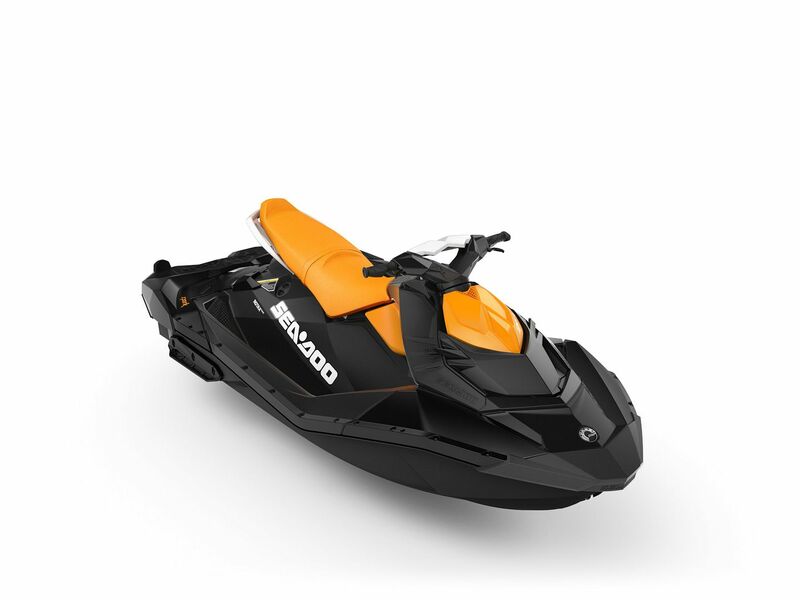 Sea-Doo GTXmodels have a spacious 27-gallon (102.5 L) central cargo compartment designed for easy and direct access to all gear from a seated position – simply raise the handlebar and reach in. There is also a waterproof, shockproof compartment for worry free phone storage with an addable accessory USB charger^, as well as an adaptable and convenient LinQ™ quick-attach rear cargo system to easily secure one of six exclusive accessories. 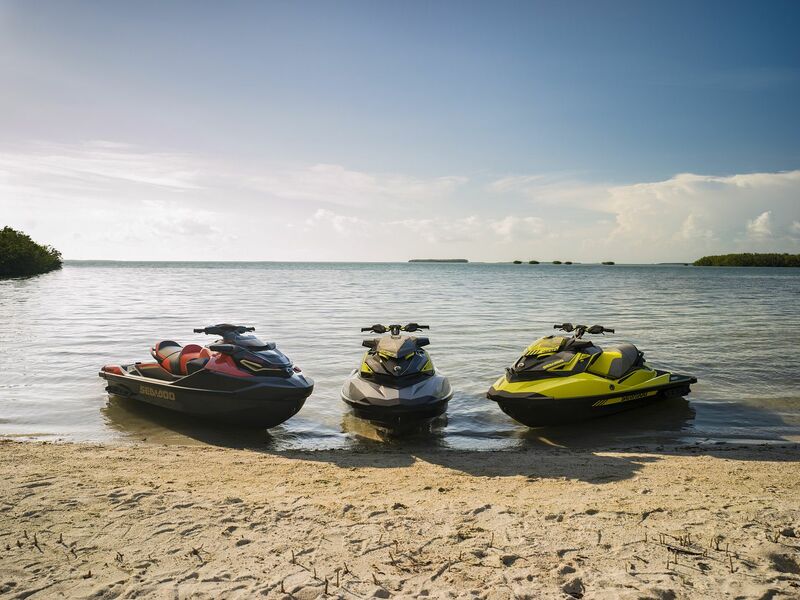 The Sea-Doo GTX model family includes a GTX 155 and GTX 230, as well as a GTX Limited 230 and a GTX Limited 300. Each come packed with comfort and style. They are available in Long Beach Blue Metallic/Lava Grey. Each model can carry up to three riders, with the GTX reaching a top speed of 55mph (88 KM/H), and the GTX 230 at 65mph (105 KM/H). These models come equipped with all of the standard features, and the powerful Bluetooth audio system can be added as an option. 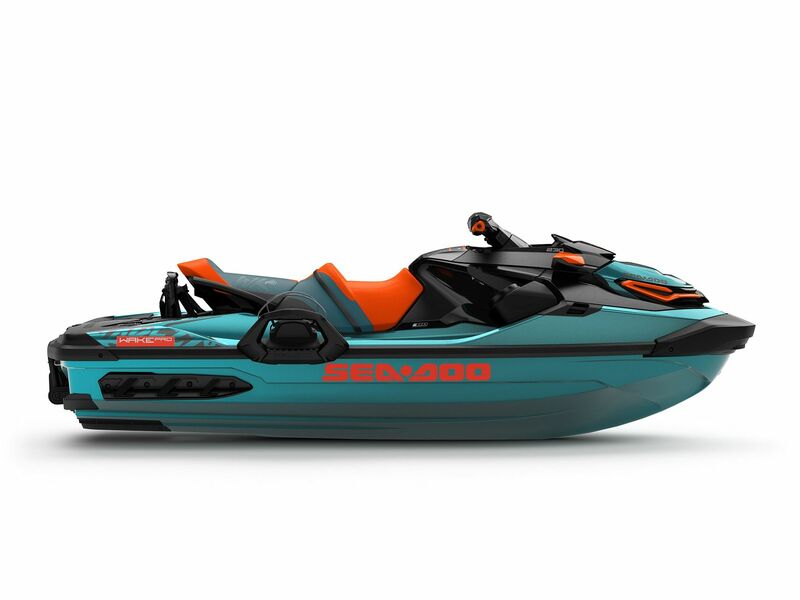 The top-of-the-line Sea-Doo GTX Limited 230 and 300 combine leading performance, technology, and convenience to create a watercraft that’s built for breathtaking adventures. Sea-Doo GTX Limited models are available in Liquid Metal/Equestrian Brown. Each can carry up to three riders. Whether riders are at high speeds pounding rough offshore waters, at rest hanging out in a secluded cove, or simply boarding from the side, this 1” wider hull offers industry-leading stability thanks to a lower center of gravity and an improved design. Crank up the fun with a fully-integrated and waterproof watercraft audio system. It features 100 watts of total power, is fully-submersible, has Bluetooth connectivity, and external playback controls to ensure the perfect song is always on deck. The ErgoLock system provides unmatched control and comfort by letting riders lock in and use their legs, reducing fatigue and making them feel one with the machine. All GTX models come equipped with an adaptable LinQ quick-attach rear cargo system. It features two convenient, integrated LinQ attachment points for simple, easy-snap accessory connection in seconds without tools. Attachment points lay flat when not in use. A Watertight Phone Box and optional accessory USB port (USB port standard on GTX Limited) allows phones to stay charged and ready to go in a snug, impact-absorbing, watertight cradle. 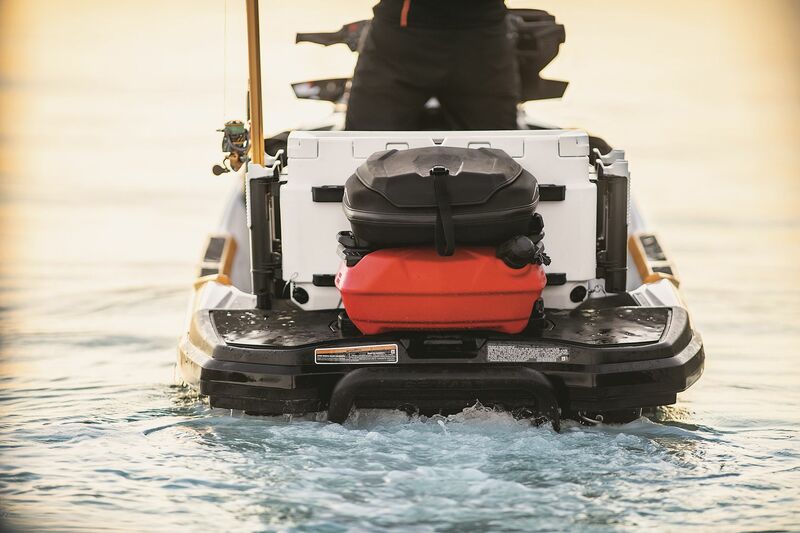 Recognized by the U.S. Coast Guard for improving boat safety since 2009 and now in its third generation on all GTX models, the Sea-Doo exclusive iBR (Intelligent Brake and Reverse) system allows riders to stop up to 160 feet (48 m) sooner than watercraft not using a brake*. Maneuverability when braking and handling when in reverse are also enhanced for maximum response. With both hands on the handlebars, riders can engage forward, neutral, and reverse for stable, worry-free maneuvering at low speeds. 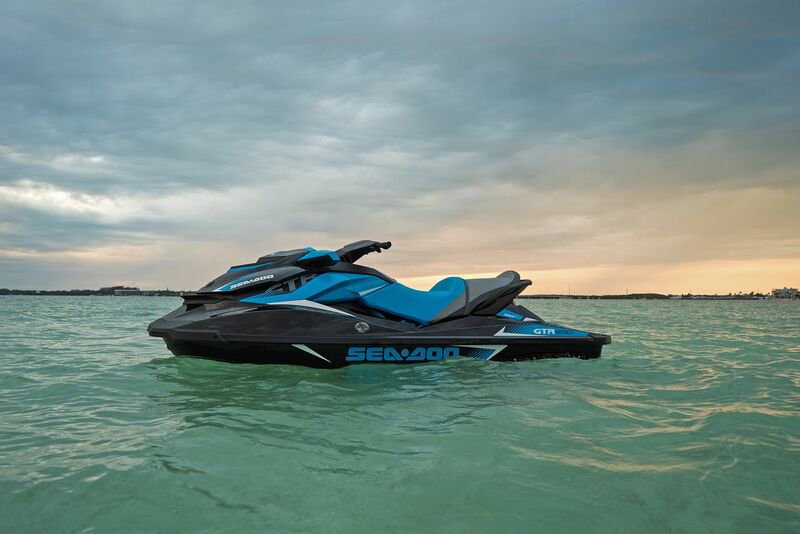 • ECO MODE: This exclusive Sea-Doo feature produces up to 46% improved fuel efficiency^ by automatically determining the most economical power delivery. • TOURING & SPORT MODES: Depending on their riding style, riders can easily set different throttle responses to match the current activity. With unmatched performance, superior fuel efficiency and proven reliability, ROTAX® engines continue to set the standard in the personal watercraft industry. Every model features the industry-exclusive closed-loop cooling system to keep corrosive salt water and debris out of the engine for added peace-of-mind. To top it off, all ACE™ superchargers are maintenance-free. • GTX 155: The Rotax 1503 NA engine is the most powerful naturally-aspirated Rotax engine Sea-Doo offers, giving instant acceleration for immediate fun. More than a decade of service has proven it to be incredibly reliable and fuel efficient. • GTX Limited 230 / GTX 230: The Rotax 1500 HO ACE engine with 230 responsive horsepower** continues to be a benchmark of reliability, performance and fuel economy, returning grin-inducing excitement, low overall weight, and ease of maintenance. • GTX Limited 300: With the Rotax 1630 ACE engine, the luxury segment’s best power-to-weight ratio comes courtesy of 300 thumping horsepower**. With a supercharger and intercooler engineered to maximize output, riders can lay claim to zero-to-60 mph (96.9 km/h) in less than 4 seconds. Discover the most affordable, compact, fuel-efficient and lightweight watercraft in the industry. Fun to ride and easy to tow with a small car, the Sea-Doo® SPARK® is designed to make the most out of time on the water. 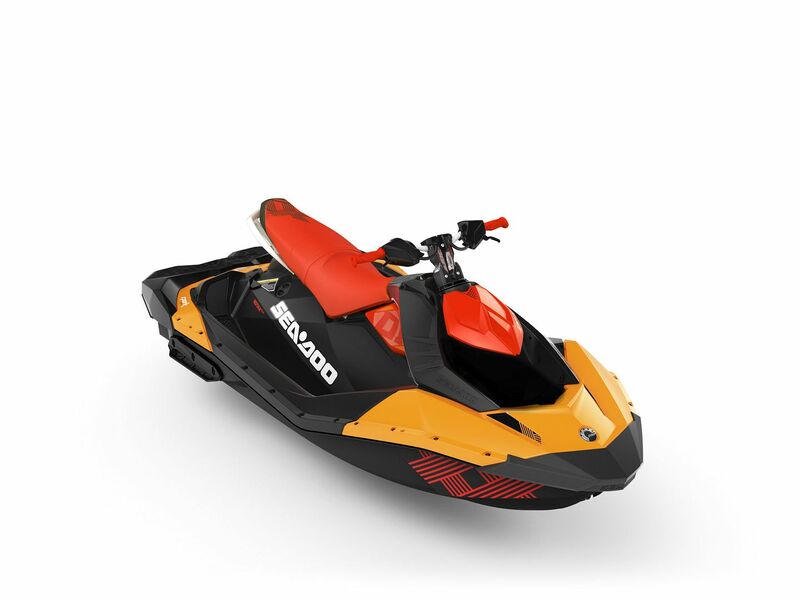 Light enough to launch nearly anywhere (even with most compact cars) and tuned for responsive handling, Sea-Doo engineers were able to create a platform that’s been used in wide-ranging ways, from family touring to freestyle trick competitions and sanctioned competitive races. New for 2019 is a revolutionary Bluetooth-compatible audio system that brings powerful and accessible sound to the water. It’s a portable system that lets riders take their tunes with them anywhere they go, on land or on water. The Sea-Doo SPARK is the best way for new and returning boaters to get their feet wet. 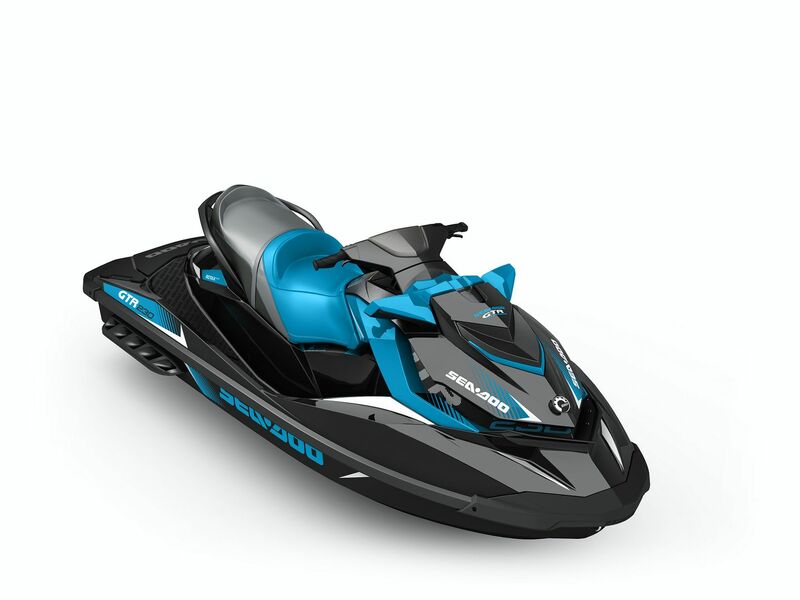 Still more affordable and more fuel efficient than any other personal watercraft, for the last five years, thousands of new enthusiasts have taken to the world’s lakes, rivers, and oceans while riding the most playful Sea-Doo ever. The one-of-a-kind SPARK TRIXX makes pulling off tricks so easy and so much fun, riders never want the day to end. Its Adjustable Handlebar Riser, Extended-Range Variable Trim System (VTS) and Step Wedges allow people to soar with new moves. It’s a whole new way to play. 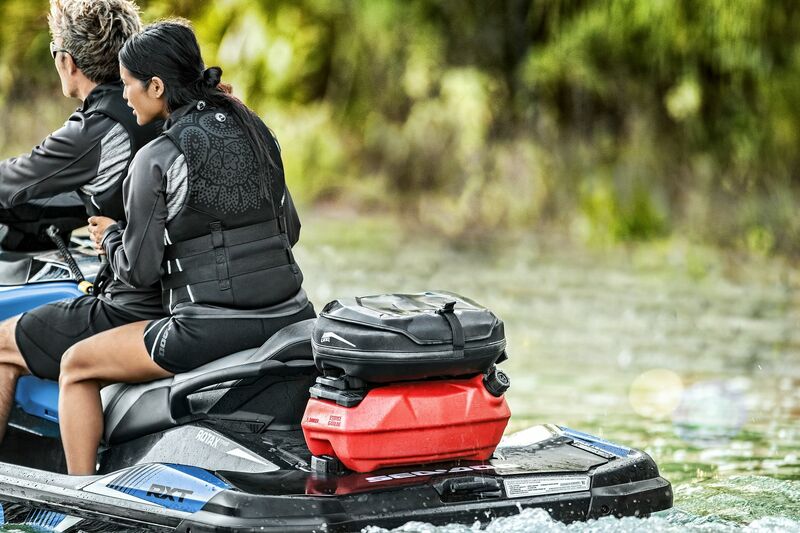 BRP’s new revolutionary portable audio system for Sea-Doo SPARK models brings powerful and accessible sound to the water! The 50-watt, Bluetooth-compatible system is available as an option from the factory on TRIXX models and the SPARK 3UP with iBR and convenience package. It is fully waterproof and easily mounts to any Sea-Doo SPARK watercraft as an accessory regardless of model year. It’s also wireless (portable), so people can continue listening to music on the dock, in the cabin, on the beach, or anywhere else you choose. The system has an amazing battery life of 24 hours at 50% of its power for long sunny days. ^BRP internal testing with optimal conditions. The 3-passenger SPARK TRIXX 3-UP is the ultimate family trickster, rapidly becoming one of the most popular PWC models in just two years. 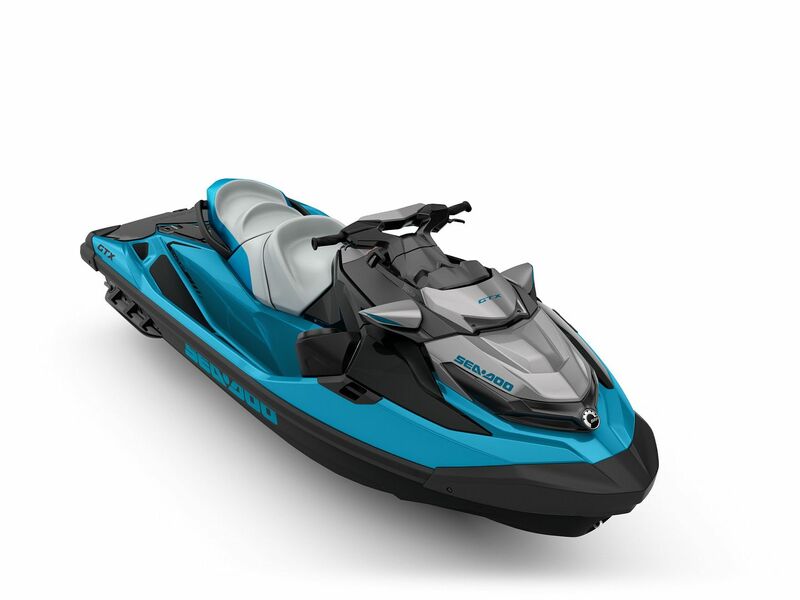 With an extended deck and seat to allow riders to unlock tow sports activities like wakeboarding, tubing, and waterskiing, it’s our most versatile entry-level watercraft ever. True to SPARK heritage, both TRIXX models make it easier for all riders to pull off freestyle tricks such as tail-stands, 180-degree hops, power slides, and more. These moves come easy thanks to three innovative, industry-exclusive features – an adjustable handlebar, angled foot supports, and an extended range VTS. 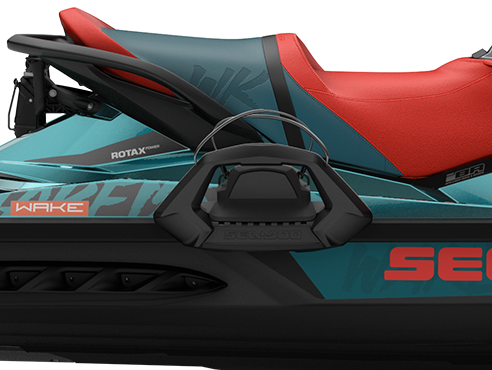 Sea-Doo SPARK TRIXX models are powered by a fuel efficient and responsive 90 horsepower Rotax® 900 HO ACE engine and have a top speed of close to 50 mph (80 km/h). Available colors include Orange Crush/Chili Pepper and Jalapeno/Pear. 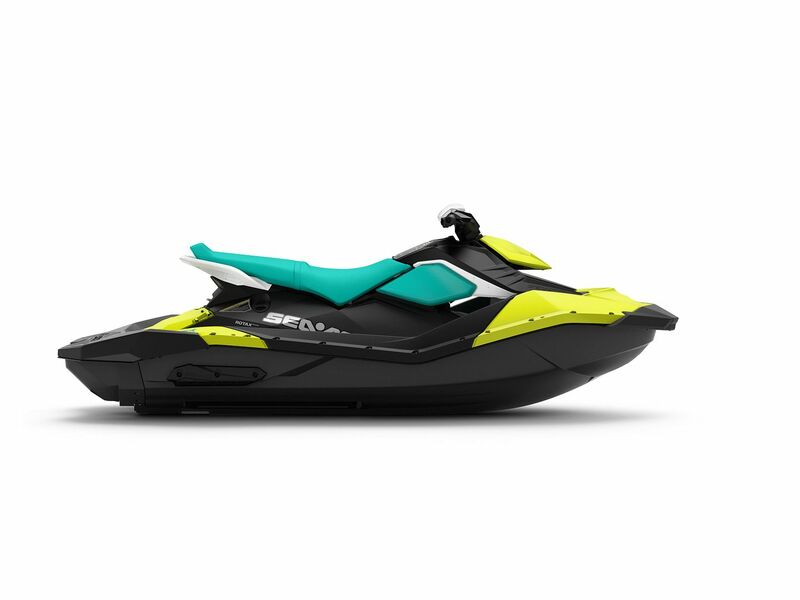 The SPARK 2-UP is perfect for two riders and the 3-UP has an elongated deck that adds transom buoyancy, overall stability, and the possibility of towing a passenger on a tube, water-skis, wakeboard, or other flotation device. No matter the model, Sea-Doo has fitted the SPARK with numerous standard features and a huge range of accessories to allow customers to tailor the SPARK to their needs. 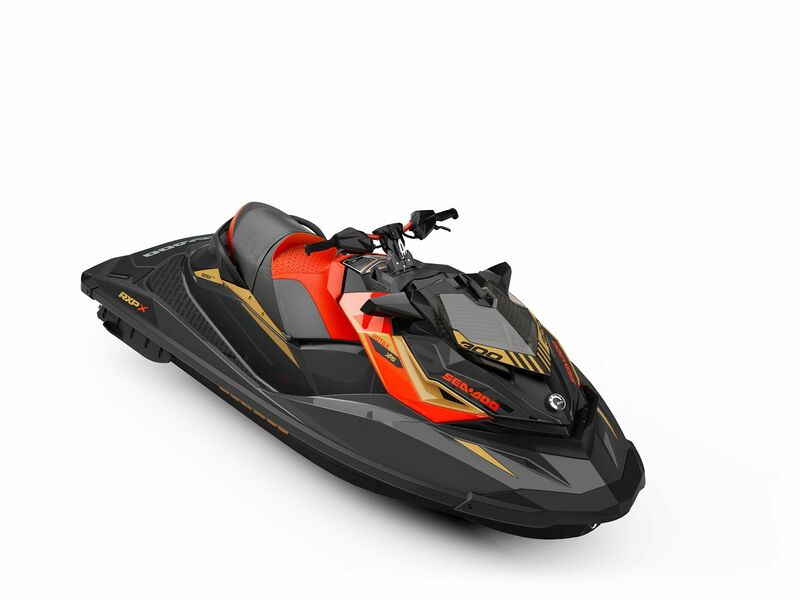 The Sea-Doo SPARK 3-UP is powered by a 90 horsepower Rotax 900 HO ACE engine with a top speed of close to 50 mph (80 km/h). The Sea-Doo SPARK 2-UP is available with two engine choices including the 60 horsepower Rotax 900 ACE and the 90 horsepower Rotax 900 HO ACE. Available colors include Pineapple/Candy Blue, Vanilla/Blueberry, and Licorice/Mango. An electronic, fully-sealed intelligent throttle control system is the instantly responsive way riders dish out the Rotax engine’s performance when needed, and saves fuel for when efficient cruising and exploration is desired. The SPARK hull is highly impact and scratch-resistant. No other material gives such lightweight performance in this price range, which engineers used to both improve overall performance and save weight, without compromising handling. With unmatched performance, superior fuel efficiency and proven reliability, Rotax engines set the standard in the industry. 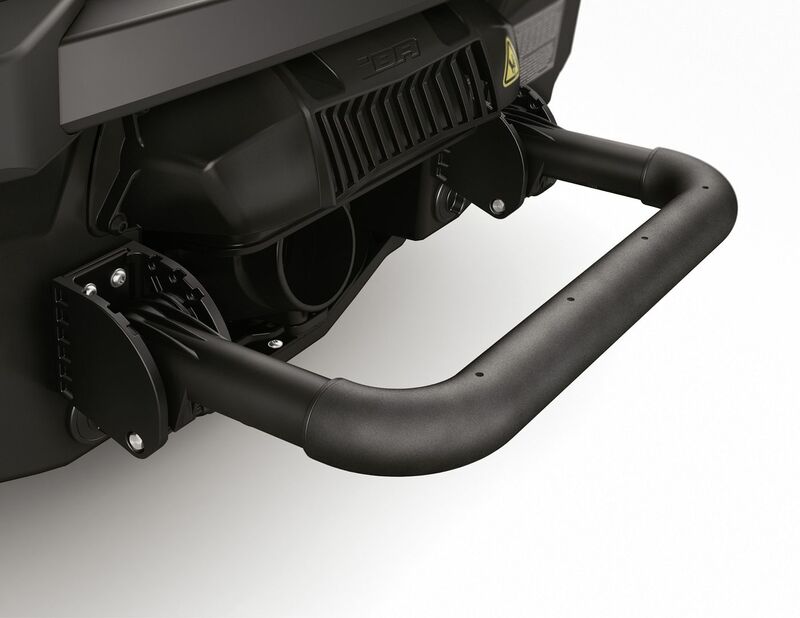 SPARK models feature the industry-exclusive closed-loop cooling system to keep corrosive salt water and debris out of the engine block for added peace-of-mind. • Rotax 900 HO ACE: The most compact and lightweight engine in the industry, incorporating quick acceleration, impressive fuel economy and an excellent power-to-weight ratio with a top speed of close to 50 mph (80 km/h). • Rotax 900 ACE: Packed with 60 horsepower, it features a great power-to-weight ratio, impressive fuel economy, and has a top speed of 41 mph (66 km/h).